Photo Ranch: Looking east towards Tlacolula across the valley of Oaxaca. Looking east towards Tlacolula across the valley of Oaxaca. 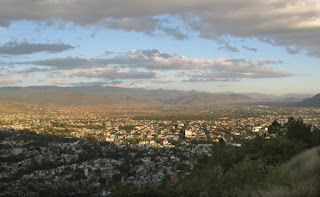 View of north Oaxaca city looking east to Tlacolula from atop El Cerro del Fortin.